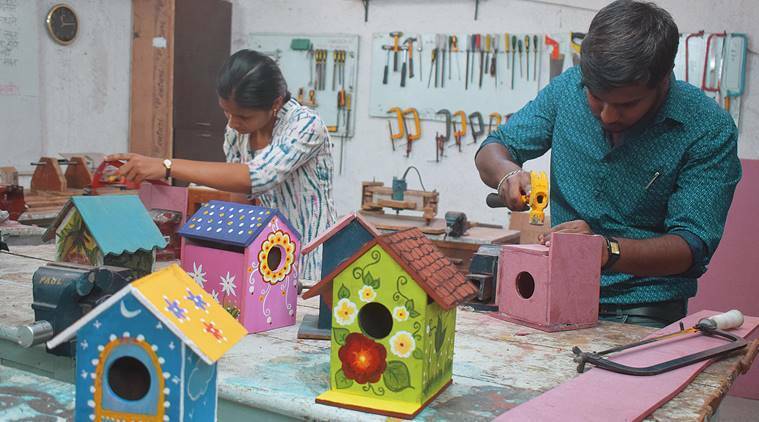 A group of engineers in Pune are addressing the problem of vanishing sparrows by teaching enthusiasts to build birdboxes. Paresh Shinde, a mechanical engineer, was on a field visit to Sangli in Maharashtra last year when he saw a problem being solved. “The sparrow had all but vanished a few years ago from the area, but now the birds are back in large numbers. One of the initiatives that had worked was the birdbox made by an organisation called Khopa,” he says. An instructor at Makers’ Space, a laboratory for innovation and problem solving at Jnana Prabodhini, a school in Pune’s Sadashiv Peth, Shinde carried back the idea to Pune, where the sparrow population is under threat. He has been building birdboxes and has trained over a thousand youngsters to do the same. From April 15 to 19, Shinde and his team will conduct another workshop for those interested in joining the fight to bring back the sparrow. Birdboxes in vibrant shades sit alongside computers and a 3D printer at Makers’ Space. Shinde’s colleague and electrical engineer Pranav Pujari points out that the material used is MDF as metal will be hot for the birds. “The diameter of the hole is crucial, so that only sparrows can enter and not crows. We have found that a diameter of 4 cm is adequate,” adds Pujari. The birdbox can be hung outside balconies and windows at a height that protects the sparrows from predators, such as cats. “We also found out after research that it is alright to paint the birdbox with bright poster colours. It does not frighten or repel birds,” says Pujari. 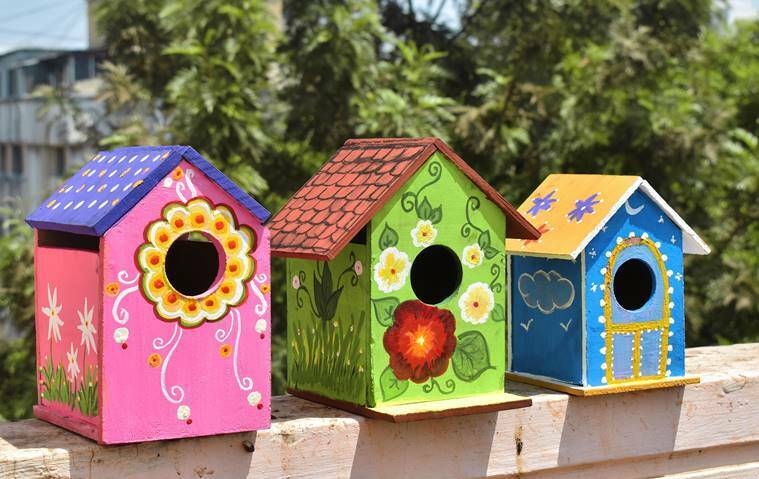 One may also design a birdbox with a hinged roof to place food inside the box, but it needs to be cleaned regularly. “It is important for students and young people to be observant and responsible. Have you wondered why we do not have more scientists designing things? It is because we rarely encourage creativity. Makers’ Space wants students to go out, observe, find problems and come up with real-life solutions,” says Milind Naik, Principal of Jnana Prabodhini. Apart from building birdboxes, the summer camp at Makers’ Space will also feature basics of engineering, circuit making and electronics, and working with wood, metal, foam and paper.